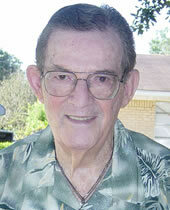 In 1995, at the age of 71, Ken Molony, Sr. founded D.A.W.N. – Disabled Adults With Needs; an organization designed to enhance the quality of life for mentally challenged adults. As the father of a disabled son, Ken recognized that life can be much more enjoyable when it is experienced as a participant – and not just an observer. And after nearly 50 years of ensuring an active, quality life for his son, he has become especially sensitive to the needs of disabled adults. For Ken, life was not meant to be spent sitting on the sidelines watching other people do what you cannot. Unfortunately, Ken knew that far too many disabled individuals are pushed to the sidelines, missing out on life’s simple joys like playing ball with a team or the excitement of attending a dance. Ken Molony made it his mission to provide opportunities like these for his son and for other mentally challenged adults. And Ken has made good on his mission… he has helped to establish sporting leagues for the disabled… founded an organization similar to D.A.W.N. in the late 70s that was so popular there was a waiting list of hopeful members… and he has helped hundreds of people experience a wonderful side of life they never thought possible. At least once a month, Ken organizes social activities for D.A.W.N.’s 90+ members. He holds dances, coordinates picnics, organizes trips to the theatre and even brings his group to Saints games… and that’s just to name a few activities. But Ken’s most important activity is reaching out to these special people, welcoming them with open arms. The difference Ken Molony makes on their lives is remarkable – at a dance he’ll see them transform from sitting quietly, withdrawn and isolated, to dancing, joking around, talking up a storm and sharing what they had hidden for so long – themselves. To know the depth of devotion of someone like Ken Molony is in itself a moving experience. He strives to share his zest for living life to its fullest with people of all kinds, shapes, colors and capabilities every day. That’s what makes Ken Molony a true champion… a Tenet Choices Champion.